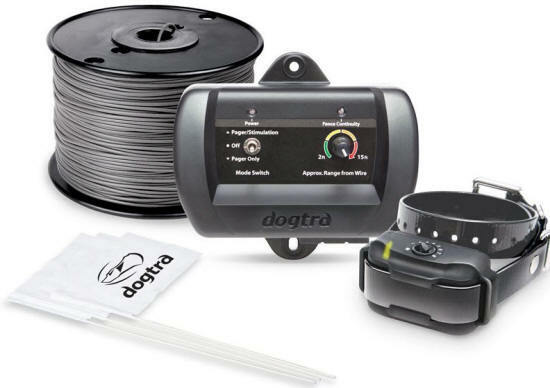 This product is covered by our 30-day Money Back Guarantee and a 2-year warranty from Dogtra. The Dogtra e-Fence System gives you the ability to allow your dog the freedom he wants, within your specified boundaries. Dogtra's ef-3500 containment system contains your dog without the use of conventional fencing that can be chewed through, jumped over or dug under. The 18 gauge heavy duty boundary wire forms a continuous loop around your property. The ef-3500 receiver collar the dog wears gives a gentle vibration (similar to a pager) as your pet approaches the boundary. If he continues to approach, an adjustable static correction is generated. You may choose from 5 levels of correction to match your pet's temperament. The system has an automatic control that limits the stimulation to a maximum of 8 seconds. 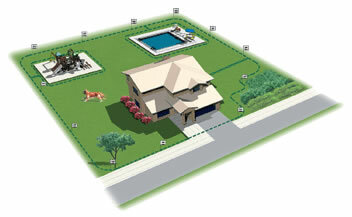 The correction depth of field is also adjustable to allow you to tailor the system to your yard and your pet. And Dogtra provides outstanding service, support, and spare parts so you won't be left out it the cold if anything goes wrong! Dogtra eF3500 eFence Containment System ... simply the best! Collar recharges from a separate adaptor. No need to disable the fence to recharge the collar. Pager/vibration signal that warns the dog prior to the stimulation. Wire continuity indicator shows the fence is operational. Adjustable intensity (8 levels) for a variety of dog personalities. Long-range signal (will work up to 40 acres). Adjustable field width allows you to tailor the system to your yard or pet. Includes Transmitter, Collar, Collar Recharging Unit, 500' 18 ga. Wire (will enclose approx. 1/3 acre), 50 Flags, and Training & Installation booklets. Note: Australian customs regulations prohibit the import of this item.